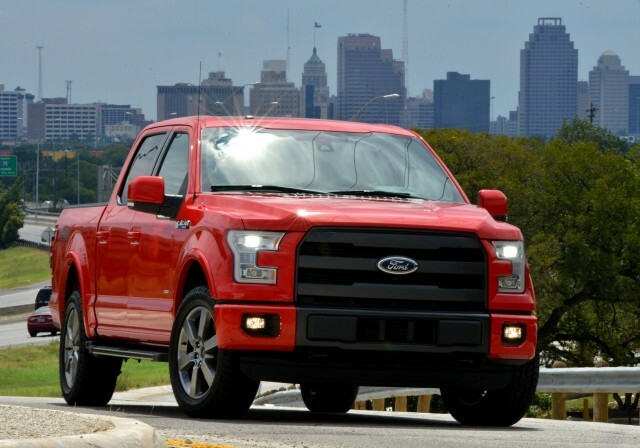 The 2015 Ford F-150 arrived last year with a greater focus on fuel economy than any previous generation of the best-selling full-size pickup truck. Its weight-saving aluminum body and available downsized 2.7-liter turbocharged EcoBoost V-6 were meant to increase gas mileage. But those weren't the only tricks Ford had up its sleeve. 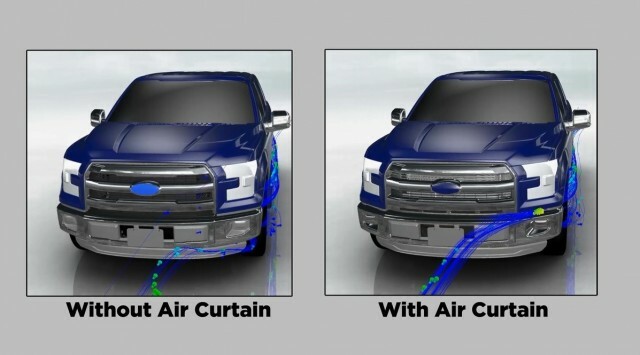 The company also paid attention to the aerodynamic performance of the F-150, including the addition of "air curtains" that Ford says help to smooth out airflow over the huge truck. They are horizontal slots underneath the headlights that channel air through ducting in the wheel wells. The air is then expelled across the outer surfaces of the front wheels and tires. The most direct way to deal with this drag would be to enclose the wheels in skirts, Ford says. Instead, the below-headlight cutouts and wheel-well ducts are used to produce a "wall of high-speed air" that provides roughly the same effect, according to Ford. Other aerodynamic details on the F-150 include a flush-mounted windshield, a tailgate top that also acts as a spoiler, taillights designed to channel air in a way that reduces turbulence, and a cargo box that is slightly narrower than the cab. 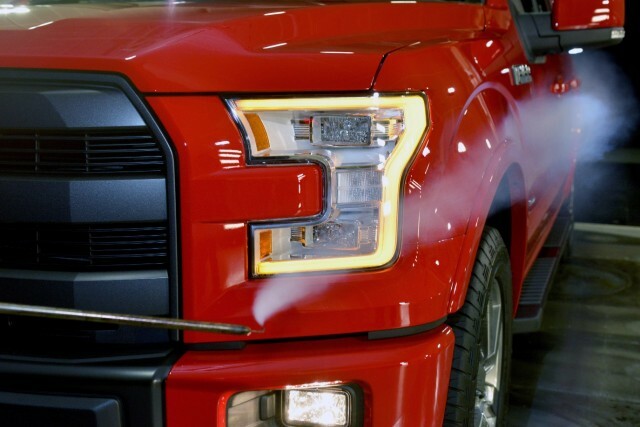 All of those features help the F-150 achieve a best EPA fuel-economy rating of 22 mpg combined (19 mpg city, 26 mpg highway) with the 2.7-liter EcoBoost engine and rear-wheel drive. That rating doesn't make the F-150 the most fuel-efficient half-ton truck on sale this year, however. That title goes to the Ram 1500 EcoDiesel HFE, which gets 24 mpg combined (21 mpg city, 29 mpg highway) with mandatory rear-wheel drive. The Ram has some aerodynamic aids of its own, such as active grille shutters and smooth under-body panels. But it's the Ram's 3.0-liter turbodiesel V-6--the only diesel currently available in a half-ton truck--that puts it over the top.